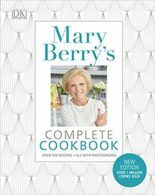 Bestselling cookery writer and TV star cook, Mary has written over 60 cookbooks, including the classic Mary Berry’s Complete Cookbook which has sold over 1.5 million copies internationally and the Aga Cookbook. 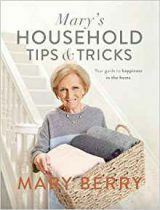 Her career began when she developed a passion for domestic science at school – something she outlines in her charming memoir Recipe for Life. 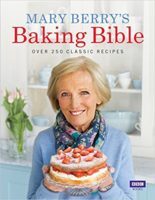 Mary Berry’s Baking Bible and Mary Berry At Home both hit No 1 with BBC books. 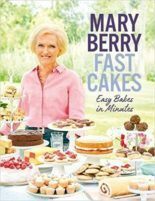 Headline published her hugely successful Mary Berry’s Christmas Collection and Fast Cakes. 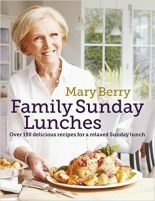 Cook Up a Feast (with Lucy Young) is a brilliant book on entertaining. 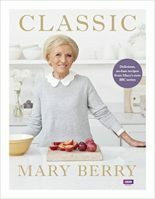 Her recent TV series Mary Berry Classic with accompanying book is a huge success. 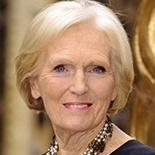 Formerly judge on The Great British Bake-Off she is the chief judge on BBC1’s Britain’s Best Cook.